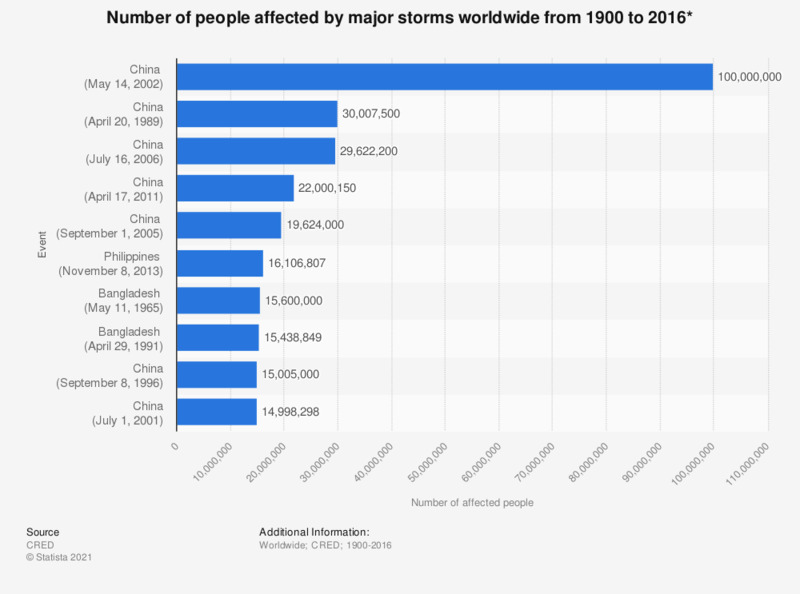 This statistic shows the number of people affected by the world's most significant storms from 1900 to 2016. The Storm in China on May 14, 2002, affected 100 million people. * Figures are as of November 17, 2016. Everything On "Natural Disasters" in One Document: Edited and Divided into Handy Chapters. Including Detailed References. How scared are you of global environmental risks?